Fuelwood have 20 years experience in the design and manufacture of Kindling wood machines. With an unrivalled range and knowledge of Kindling allowing you, the Customer, to choose the Fuelwood machine that is right for your needs. The original KindlaTM was designed specifically for customers in the UK, the lasted KindletTM and Kindlet ProTM are being sold around the world. Fuelwood are the leader for Kindling Wood machines no other manufacturer has the range and experience of Fuelwood (Warwick) Ltd. 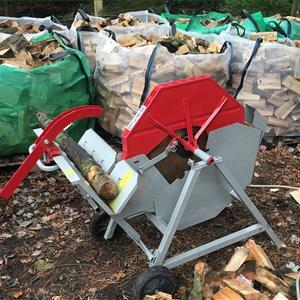 The SplittaTM and Splitta 400TM are automatic log splitters AND kindling wood machines in one!.